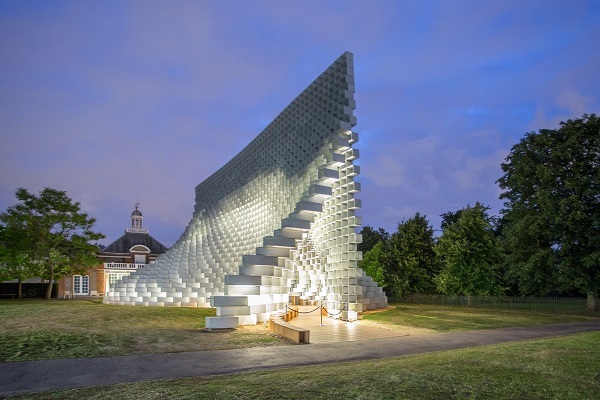 The 2016 edition of the Serpentine Pavilion is a 14 meter high complex sculptural structure designed by Copenhagen/NYC based architecture firm Bjarke Ingels Group (BIG). 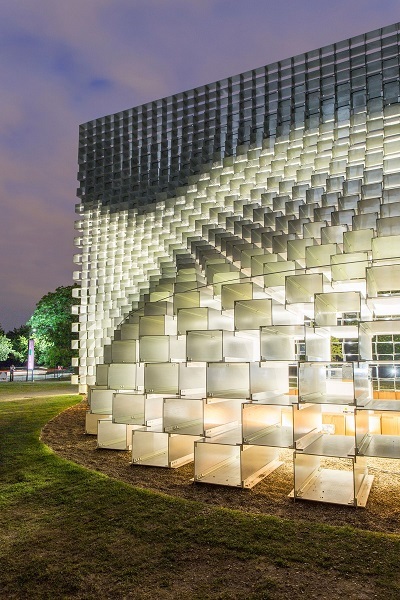 As daylight fades, the pavilion is enhanced by specialist lighting from acdc Lighting, a brand of Zumtobel Group. 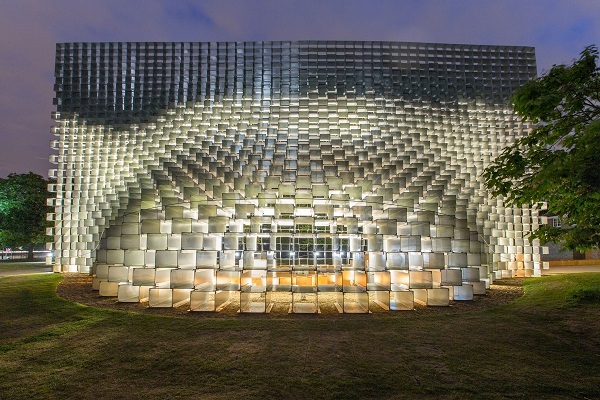 The design delivers the light levels required for functional use of the space, while keeping the visual presence of the lighting equipment to an absolute minimum. 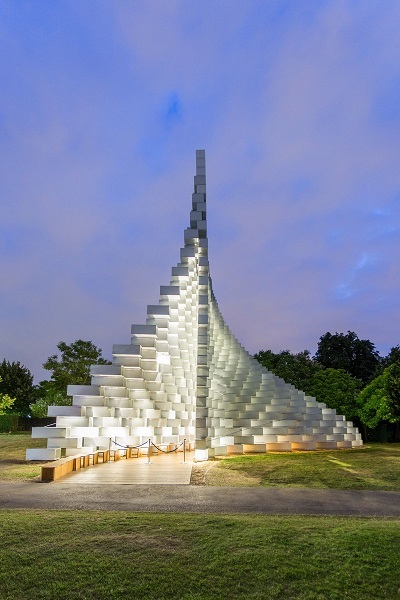 For the night time image BIG envisioned a glow from the base, the light grazing up the walls to emphasise the curvaceous textural form, and then gradually fading out to dissolve the structure into the dark sky. Acdc's Plaza lighitng solution uses warm colored 3,000K LED lights. The final solution uses acdc PLAZA fittings in two sizes with 3000K warm white LEDs.